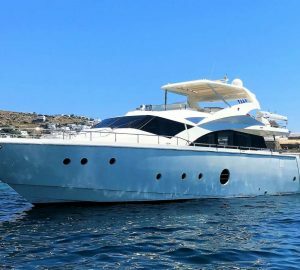 This well equiped, beautifully designed crewed Motor Yacht Aicon 72 is based in Sicily and is perfect for lovers of speed and luxury. She has been fitted to the highest of standards, with crystal by Villeroy & Boch and fabrics by Ferre, not to mention the impeccable service on water. 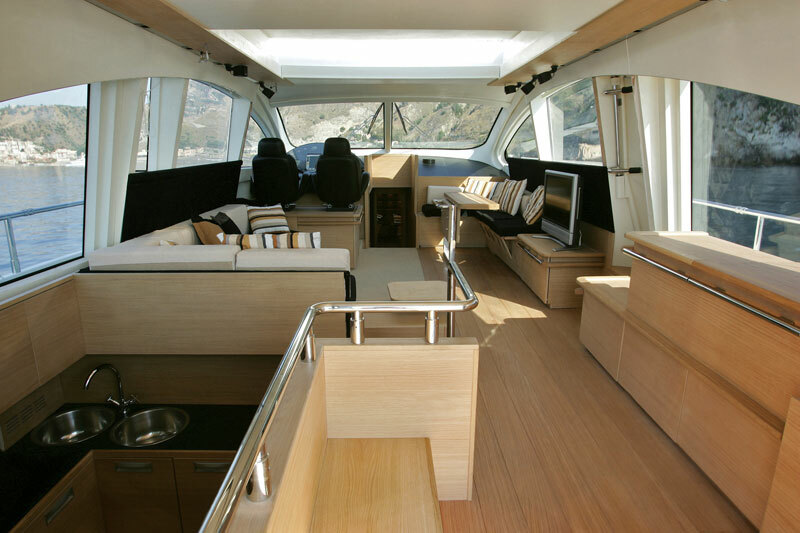 There is plenty of space outside for enjoying the sunshine on the forepeak, swimming platform or flybridge or to just relax in the luxurious saloon. 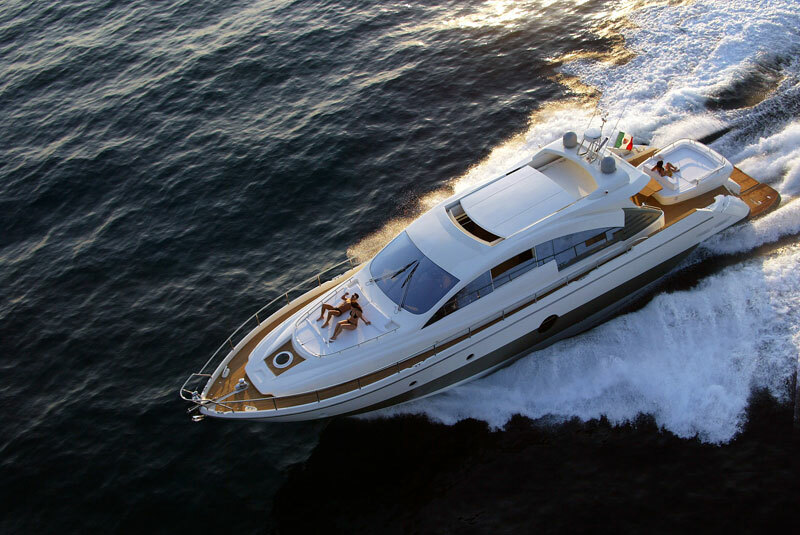 With a cruising speed of 33 knots this yacht will not dissapoint with the incredible flexibility offered by a private, first class mobile hotel. Rates listed are plus VAT and plus all expenses. 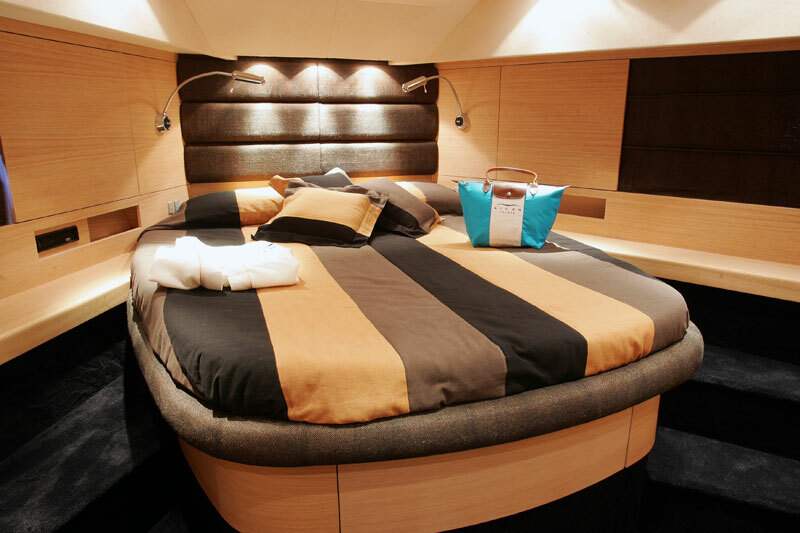 The Aicon 72 crewed charter yacht can comfortably accommodate 6 people in 3 cabins. 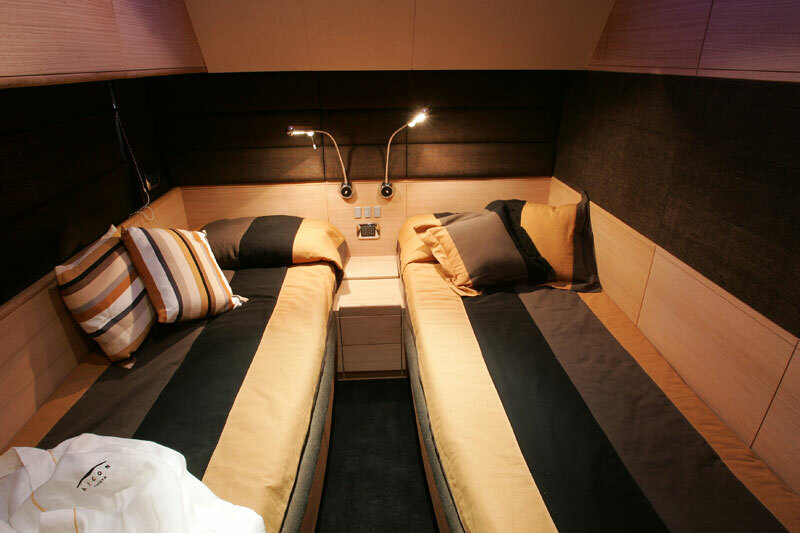 There is a spacious double master cabin situated up forward, a second large cabin with double bed, and a smaller cabin with two single beds. Each cabins has an ensuite bathroom. 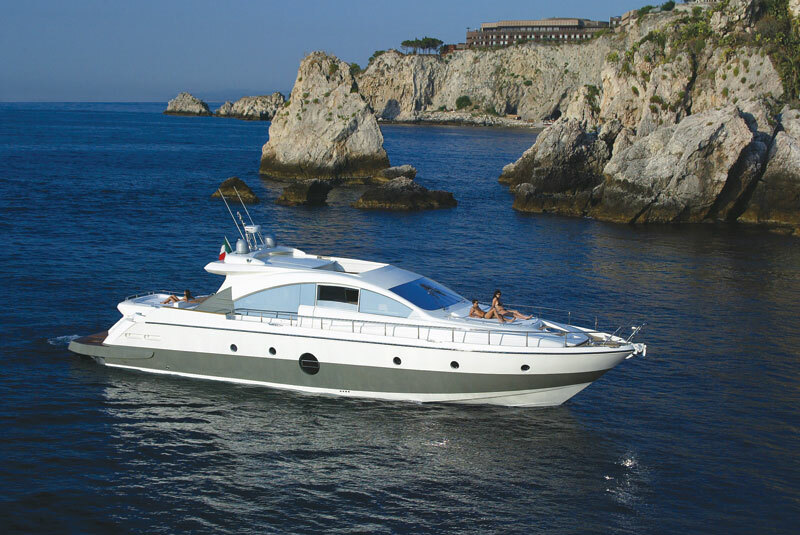 The AirCon 72 offers a very large living space with comfortable sofas, a bar/kitchen area and beautifully fitted command bridge. Above decks there is plenty of space for relaxing and sunbathing. The innovative fly bridge has a fridge, a barbeque and a table. There is an additional crew cabin for 2 crew. 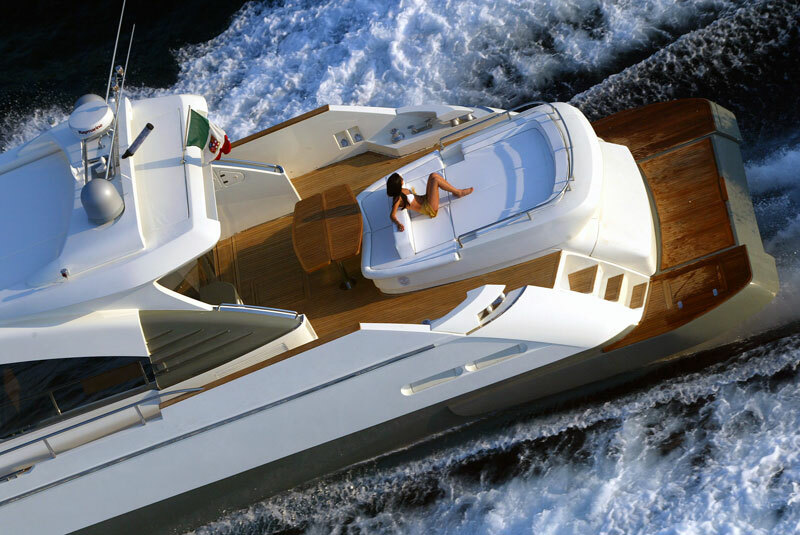 The luxury crewed yacht, Aicon 72 Italy comes complete with electric windlass with controls in foredeck bridge and flying bridge, Hot and cold swimming shower, Access from cockpit via fly ladder, Hydraulic steering electrically powered, Radar, Chartplotter, Automatic pilot with interface, VHF radio and 5 kw generator. Additional extras include: Water jet tender, Fridge, Freezer, Dish-washer, Ice-maker, Microwave/grill, Washing and dry machine, Digital 4 ring ceramic hob, Accessories include: Linen and towels from Frette, Villeroy and Boch porcelain, Ayurvedic bath range.